I cannot believe we've already made it to May! It's a little too early yet (even though we don't have many days left 🙌) but I can almost say that I've survived my first full year of teaching. I don't want to jinx anything just yet. 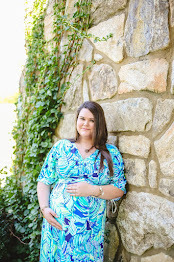 -Try out (& blog) about one new recipe! This one should be easy because I have been clipping new recipes like crazy from my Southern Living & Good Housekeeping magazines. I'm so happy to say that I accomplished every single goal that I had set (at least almost accomplished them all). I successfully completed my editorial calendar for April & was super consistent there. I read not only one book for myself, but we also finished one novel in my reading class and have started another. My girl's day trip was amazing-I love spending time with my mom and sisters. We didn't have Little Donkey, sadly because we ran out of time...but Taco Mama was a good substitute! Now the two that I'm having to give myself some grace on. I had dental surgery the first week in April, so that kind of threw the walking that week out of the window. Then my grandmother passed away the third week of the month and that week was spent traveling to be with family, so I'm giving myself grace with that one. And the recipe; I have tried it and the post should be up very very soon! It will be worth the wait! -Finish off the school year strong! -Write thank-you notes to four individuals who have positively impacted my life in the past year; there's nothing quite like a handwritten note to convey true meaning. -Research and plan for the New Orleans trip! Alright, this month's to-do list is a little more involved than last month, but I think it's do-able. I think preserving memories and taking the time to thank the people in our lives is so important and we don't do either one of those enough. 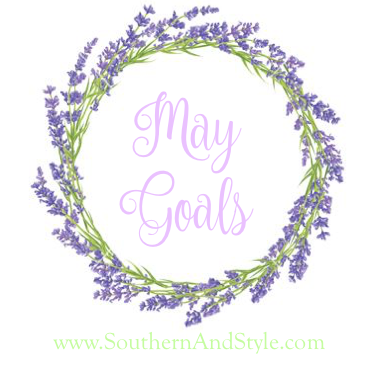 Let me know below what your goals are for May! So sorry to hear about your grandmother, I hope you're coping okay. What a beautiful idea to set yourself these goals for each month, and checking in to see how it went. I might just begin doing that for myself! I especially love your thank you notes - passing on the light in that way is just lovely. Nice job on making all your April goals! That's so helpful to set out a list like that. I am loving these monthly goal posts! Sorry to hear about your grandmother, hope you and your family are doing well!